DIET PRO MEAL is a high protein meal shake with diet-support nutrients. Taking two to three servings of DIET PRO MEAL as a snack between your normal calorie controlled and healthy food meals can help you to achieve your fat-loss and toning goals, as part of your healthy-eating and exercise regime. 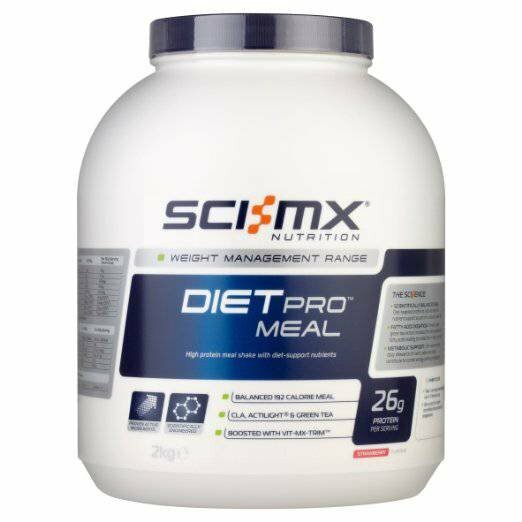 DIET PRO MEAL contains whey protein and Actilight prebiotic fibre, which together help to curb hunger and cravings. The amino acids naturally found in whey protein also help to improve muscle-tone and support your exercise regime. It also contains CLA, a scientifically researched healthy fatty-acid that helps the body to preferentially use fat for energy. Metabolic support is provided by a blend of niacin, folic acid, biotin and iodine that contributes to normal thyroid function, energy-yielding metabolism and the metabolism of fats, carbohydrates and proteins. The combination of effective ingredients has been carefully selected to work together in synergy with your body to help you achieve a lean and toned physique.